Ever since she held a tarantula for the first time, Melissa knew this was the job for her. 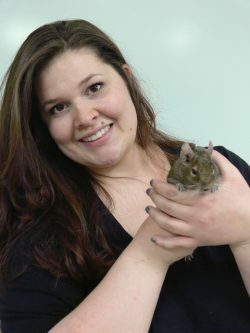 Aside from presenting wildlife outreach programs, Melissa also cares for animals such as alligators, degus, and caecilians here at HMNS. Check out Wildlife On Wheels.